Are Truck Driver Health Issues Causing Accidents? The school-bus driver involved in a Baltimore crash last month that killed six people had a history of seizures and a dozen safety incidents in the past five years, federal crash investigators said Wednesday. Maryland Motor Vehicle Administration officials notified Glenn Chappell two months before the crash that he wasn’t authorized to drive a commercial vehicle because his medical certificate wasn’t on file with the state, according to investigators from the National Transportation Safety Board. The Baltimore bus accident should never have happened. That driver should not have been driving. Yet, the bus company continued to employ him despite a history of prior bus accidents and seizures. After some of the prior accidents, witnesses even reported the driver appeared to have a seizure. And, just a week before the crash, paramedics called his company after witnesses reported a seizure. The bus company showed a complete lack of concern for human life by allowing this driver to continue operating its buses. 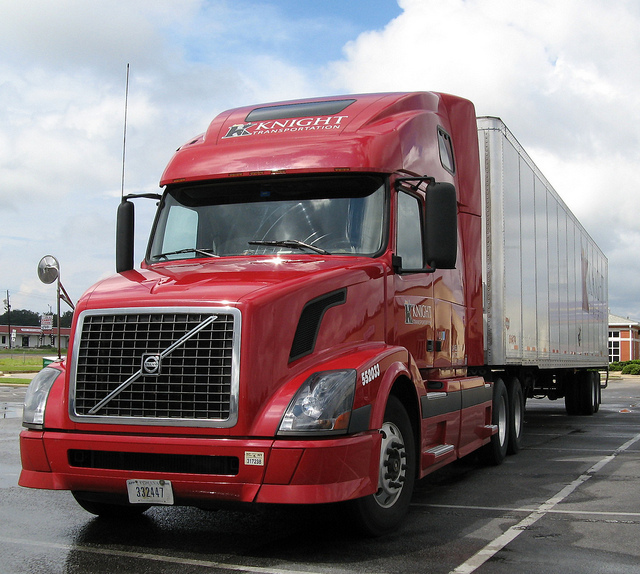 For commercial motor vehicle (CMV) drivers, the most important safety feature is YOU — the driver! Despite this warning, truck driver health is a real safety issue on American highways. Statistics published by the National Institute of Health (NIH) reveal a real safety crisis. The rate of obesity among truck drivers is twice the national rate. The rate of diabetes is 50 percent higher than the national rate. And, almost 90 percent of truck drivers suffer hypertension or pre-hypertension. Other research reveals a huge rate of dangerous sleep apnea among truck drivers. For the last year, the Federal Motor Carrier Safety Administration (FMCSA) has been in the process of establishing a new rule related to testing certain drivers for sleep apnea. In every commercial truck accident case, our firm investigates the truck driver’s health history. We often find health problems raising serious questions about driver safety. In one of our recent Alabama cases, the truck driver had a long history of easily avoidable crashes. These were crashes where the trucker ran into the rear of other vehicles on the highway or backed into easily visible objects. These were crashes where the trucker simply did not pay attention. Was he just a careless driver? Our investigation revealed much more. This trucker had a history of very bad sleep apnea. He was severely sleep-deprived and fatigued. These issues had affected his driving in the past. Worse yet, his employer knew the accident and health histories. As long as the trucker made deliveries on schedule, the company found a doctor who would certify his health. This ended when the trucker did not see our client in time to avoid another crash – this one causing a life-changing, disabling injury. Keep Congress From Expanding Driving Hours – Truck drivers already face pressure to drive as many hours as possible. Because of long hours over the road, many drivers are fatigued. In a prior confidential driver survey, a huge percentage of truck drivers actually admitted to falling asleep while driving. We don’t need trucking companies to push drivers for even more hours. Congress should not expand driver hours. Increase Driver Testing And Evaluation For Dangerous Sleep Apnea – Sleep apnea is a major issue among truck drivers. The Federal government has proposed additional regulations requiring testing for certain drivers with sleep apnea. This is a good start. Some truckers oppose the rule arguing it will increase costs and lead to fewer drivers. The safety of our families on the highway far outweighs the cost. Truckers who suffer sleep apnea that might affect their driving should be tested. Based on the results, they should be treated for the condition before returning to the highway. Strengthen Requirements For Medical Examiners – Can truckers obtain their medical certification from unqualified medical professionals? Can truckers obtain their medical certification from biased professionals who will pass anyone for a price? These are significant questions. Under the regulations, the role of medical examiner is not limited to licensed medical doctors. The regulations allow other professionals in some states to qualify. Do we want truckers to be examined by a real physician or do we accept nurses, chiropractors or other professionals? Maybe we should discuss the issue. Implement A Review Process For Medical Examiners Who Allow Unhealthy Truck Drivers On Our Highways – In the past, the system of medical certification has been far too relaxed. When accidents occur because of a driver’s health, authorities need to review the physician who approved that driver for the highway. Does the medical examiner routinely certify truckers who are unsafe due to health issues? Our loved ones drive around large commercial vehicles every day. We rely on the drivers of those trucks and buses to drive safely and follow the rules. Yet, we rarely discuss truck driver health and how it impacts the lives of everyone on the highway. Truck driver health has always been a major safety issue. In many ways, it has now become a safety crisis. We must work to promote trucker health for these drivers as well as everyone around them on the highway.